Unexpectedly hidden away in the quiet coastal community of Atlantic Beach, FL is One Ocean Resort and Spa. Perfect for a luxurious ocean side getaway, One Ocean’s motto is “Always in Your Element”. During my stay, and filming of our episode at One Ocean, I was able to explore exactly what that motto meant to the staff and leadership. I admit that upon departure I couldn’t help but leave with the feeling that I had just discovered my “Go To” seaside escape. I’ve sent a lot of my friends and family the way of One Ocean, so I thought it timely that I share with you my top “5 Reasons to Visit One Ocean Resort”. From the moment you arrive, it is One Ocean’s goal to make you feel at home. From knowing your name upon arrival, to assuring your kitchenette is stocked with your favorite drinks and snacks they make you feel as if you never left your comfort zone or “Your Element”. Additionally, each guest is assigned a docent who greets you upon arrival and who’s job it is to make sure your every need is met. Reservations, unpacking, spa appointments, whatever your fancy they make it happen. Who doesn’t love to be greeted by name? Your docent takes care of your every need. One Ocean isn’t just a hotel, it’s a gallery. Their oceanic inspired decor reflects the seascape all around you. 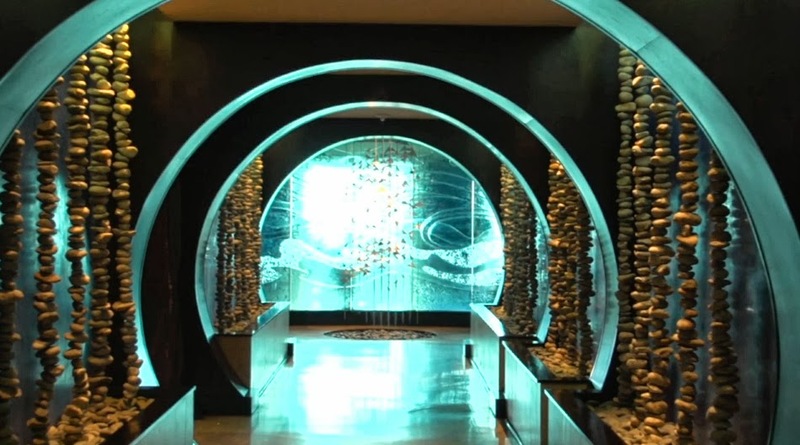 Coral inspired art installations line the walls, and water droplets mid suspension transport you to an underwater fantasy, with the most awe inspiring being a breathtaking tunnel that leads you to Azurea, their award winning restaurant. Timeless lifestyle photography graces their official gallery where you can bring a piece of the treasure home to grace your own walls. Water in suspension makes you feel like you are under water. Let your imagination take over as you follow the tunnel to Azurea. 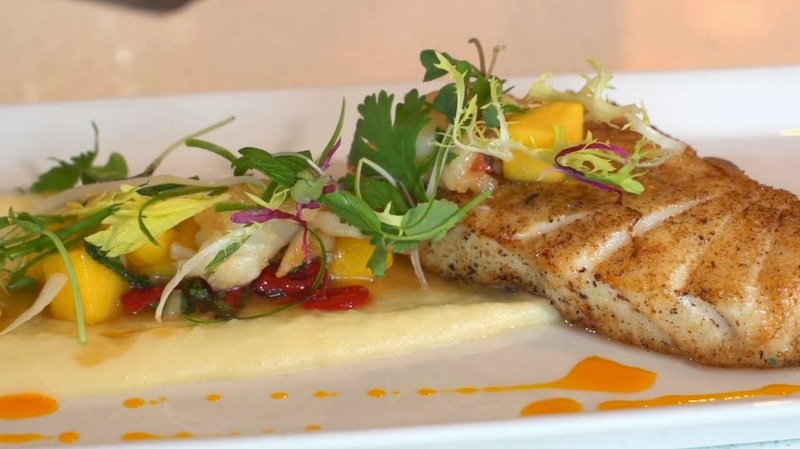 Under the watchful guidance of award winning Executive Chef Ted Peters, One Ocean’s highly acclaimed restaurant has risen to be one of the “Must Taste” experiences on many a foodie list. In my sit down with Chef Ted, I learned that the entire menu of Azurea is inspired by the surrounding area of North FL, and Southern GA (aptly titled the “First Coast”) and it’s rich maritime history. Coining the term “First Coast Cuisine”. Cuisine rich in flavor. Fresh and inviting, with a dash of southern influence. One Ocean’s notorious lobby bartender Hugh merits his own point of reference. If the ambiance, service, and food aren’t enough Hugh will keep you coming back again and again to One Ocean Resort. With charm, and wit to spare Hugh bartends like no one else I’ve met. 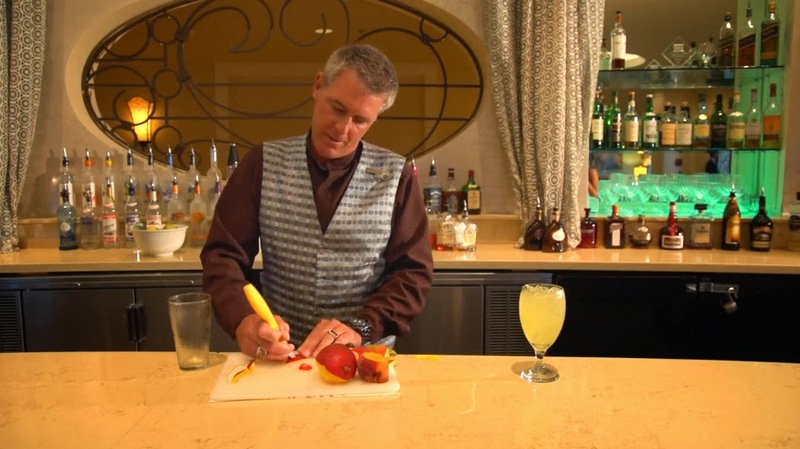 Combining intuition and mixology, Hugh creates one of a kind eclectic cocktails using ingredients fresh off the farm and organic made from scratch mixers. I’ve yet to have a drink made that matches his skill, probably because Hugh can read people, and what he makes may just match your mood perfectly. It’s almost like a special psychic gift…. Hugh will keep you coming back for new drinks as unique as you! Maybe Hugh will name a drink after me one of these days… I think “The Amy” has a nice ring to it. For our anniversary my husband and I returned to One Ocean for a relaxing couples massage. 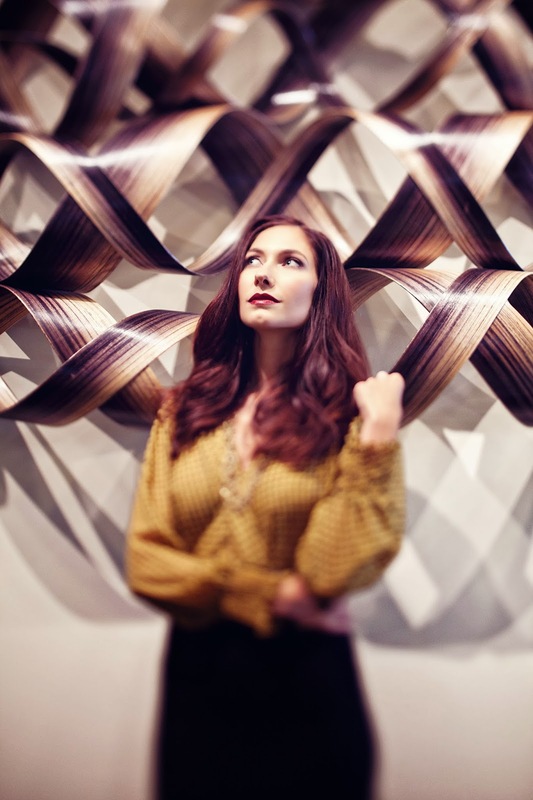 In a room overlooking the ocean we melted away at the hands of their professional staff. If the massage wasn’t rejuvenating enough, their relaxation room provided an inviting scene for us to spend the afternoon refreshed and sustained by snacks and drinks. Watching the dolphins surf the waves outside provided ample mesmerizing entertainment as we forgot the world around us. The visual captivation continues into the spa and locker rooms. Therapeutic massage within reach of the ocean. Put One Ocean Resort and Spa at the top of your destination bucket list. You will be rejuvenated, and pampered in your very own comfort zone… as you will always be in your element. While you are there tell them Amy West sent you! For more on One Ocean Resort and Spa watch their featured episode of Like Love Want Need right here!